They locked monkeys in a room pumped with diesel exhaust for four hours straight. To prove their diesel vehicles were cleaner than others on the market, Volkswagen financed a harrowing experiment in 2014: They locked 10 monkeys into an airtight room and pumped it full of diesel exhaust. For four hours straight, the monkeys watched cartoons on TV to keep them calm as they inhaled dangerous fumes from a diesel Volkswagen Beetle. Until an explosive report from The New York Times was published last week, details of animals’ involvement in the experiment had been kept secret by the company. The Times found that popular German auto companies BMW and Daimler were also involved in the tests. The experiment was conducted by American scientists at the Lovelace Respiratory Research Institute in Albuquerque, New Mexico. Yet the research was essentially useless — the vehicle was one of many Volkswagens rigged at the time to produce lower emission levels to cheat on emissions tests, compromising the results, and risking the lives of the 10 monkeys for nothing. 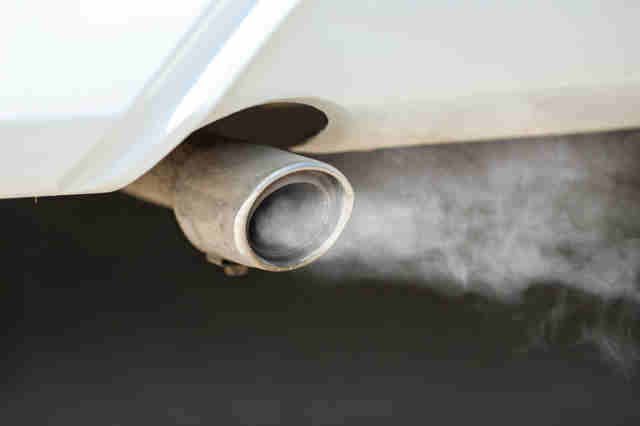 Car fumes can seriously injure or kill people in concentrated amounts — and even with the reduced emissions, the monkeys were exposed to them in an enclosed space for hours. While the monkeys reportedly survived the test, it’s unknown if they experienced any short- or long-term health effects from the highly concentrated exposure to the fumes — typical symptoms of carbon monoxide poisoning in people include dizziness, vision problems, irregular heartbeat, seizures or death. With much smaller lungs, it’s likely that the monkeys were similarly impacted. USDA inspection reports of the facility reviewed by The Dodo show that it has been written up for 13 incidents involving animals since March of 2015 — including the death of a dog who was receiving a procedure by a lab employee who had not been trained. Another incident, recorded from 2014, showed that a pig was euthanized after a lab employee improperly handled the animal and had broken its leg. Countless reports of monkeys escaping their cages throughout the years are also noted. 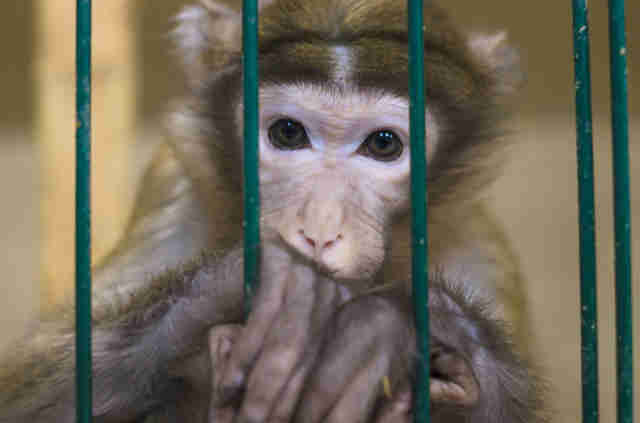 Macaque monkeys, the species that were used in the Volkswagen experiment, are among the most commonly used primates in laboratory research. 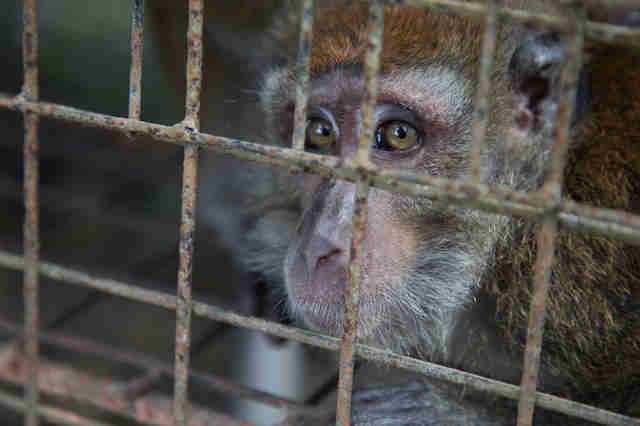 As The Dodo has previously reported, macaques and other primates used in lab research are often purchased from nightmarish “monkey farms” that capture them from the wild or breed them in highly stressful conditions — the animals often go without proper food or care and are kept barely alive until they’re sold for lab experiments. Since initial reports of the experiment’s use of the monkeys, Volkswagen has suspended its chief lobbyist Thomas Steg, who is believed to have been involved in the planning stages of the experiment as early as 2013. The company has pledged to “rule out testing on animals for the future so that this doesn’t happen again,” Reuters reported. This announcement comes after an online petition blasting the company for animal testing garnered over 100,000 supporters. To Leary, this is a promising sign. 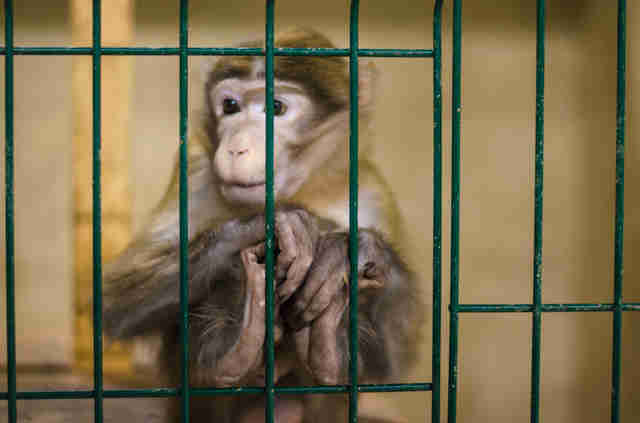 While the status of the monkeys used in the experiment is unclear, Leary and Fleury agree that the appropriate place for them now is at an accredited primate sanctuary. 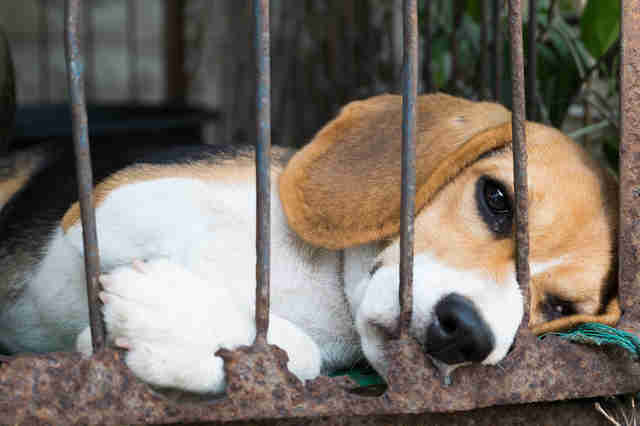 To help animals living in laboratories and to support the retirement of lab primates to sanctuaries, you can make a donation to the American Anti-Vivisection Society and the North American Primate Sanctuary Alliance. You can also sign the petition to Volkswagen to show your support of a company-wide animal testing ban.